If you haven’t heard the term “ashwagandha” before, you have landed on the right page. Here you will learn all the important things related to ashwagandha. Also known as “Indian ginseng”, it is an extremely healthy medical herb. It holds immense importance in the ancient Indian system of medicine – Ayurveda – for many centuries. 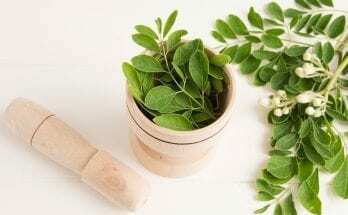 This incredible herb is not just commonly used among Indians but many Native Americans and Africans use it in an effort to treat illnesses and infections. This Ayurvedic staple has a number of health benefits. Some of them are discussed below. Several studies show that it can considerably reduce the blood sugar level in both healthy people as well as with diabetics. According to a four-week study, people with schizophrenia observed a reduction in blood sugar level when they were treated with ashwagandha. Their fasting blood sugar level came down to 13.5 mg/dL which is a staggering amount considering that those who were treated with a placebo observed only a small amount of decrease in their blood sugar level. The herb is quite useful in strengthening your muscles. By keeping your muscles strong, all signs of weakness or fatigue disappear immediately. In a study, those who consumed ashwagandha were able to gain muscle size in no time. The daily challenges of life can take a toll on us. The good thing is ashwagandha can effectively eliminate all signs of tension and anxiety present within your body; several controlled human studies have even proved that! Ashwagandha is known for its cancer-killing properties. This is why many cancer sufferers take the medical herb to reduce symptoms of all the side-effects that are caused during radiation therapy and chemotherapy. The herb can also increase blood production in your body. According to a study conducted on rats, ashwagandha was able to significantly increase both red blood cells and white blood cells. With the high level production of these cells, the medical herb can lower your chances of having dangerous conditions like amenia. Ashwagandha is commonly used in a powder form. However, people also use it by mixing it with warm water. For additional benefits, you can consume it with warm milk or honey as well. This mixture is more beneficial when it is taken before bed. This way, it calms your nerves, promotes healthy sleep patterns, and supports your reproductive system. Another ideal way to have ashwagandha is with ghee. A serving of ¼ to ½ teaspoon once or twice a day is considered ideal. You can also take the herb with a sugar cane or a sugar candy for a cooling effect. Whichever way you take ashwagandha, it will definitely nourish and energize you. If you are wondering if the consumption of ashwagandha is safe, rest assured because this medical herb has no serious side-effects. You can easily consume it without expecting any harmful side-effects in return.